You are now looking for a great reliable compact cooler that you can easily bring along during your travels, aren’t you? For such need, there are two products that make the most popular choices on the market. They are Yeti Roadie and RTIC 20. The name Yeti is perhaps the most well-known brand of coolers in the market right now. The thing is that Yeti coolers are all made to be extremely rugged and durable. The products have been proven, both in tests and real uses, to be able to withstand extreme abuse. On the other hand, RTIC 20 is generally considered as a rip off of Yeti Roadie, but still attractive nonetheless due to the more affordable nature. So, how do the two compare against each other? Yeti Roadie is famous for its exceptional durability. It is literally bear resistant. The box cannot be damaged by any bear, thanks to the rotomolded construction. It also has non-slip feet and a rubberized handle. There are white, tan, and blue color choices available. 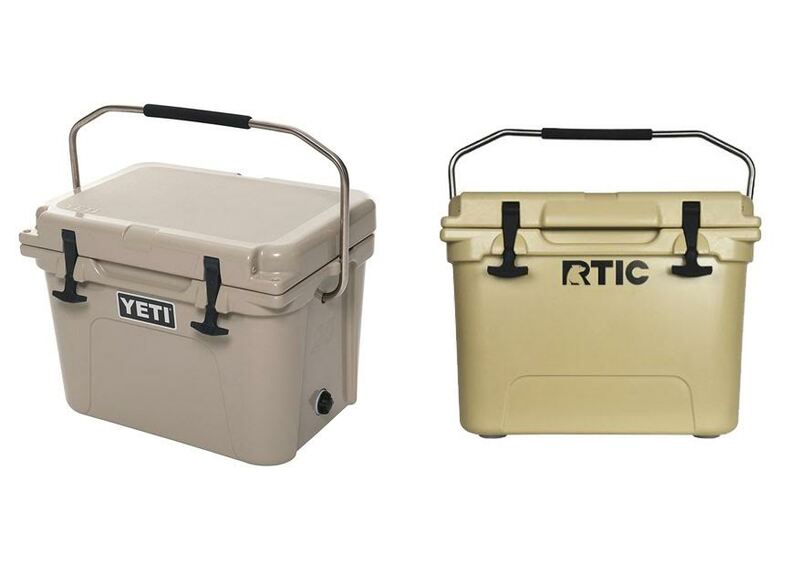 Meanwhile, RTIC 20 has been designed by copying Yeti Roadie’s construction as far as possible, so we can assume that the model is also very rugged. Though, the color choices are limited to white and tan. One important factor to consider when choosing a cooler is how well the product is capable of keeping ice. However, interestingly, Yeti Roadie and RTIC 20 are on par in this sector. Both are able to keep ice for about four days, and they still keep the contents cool in the next days. Both products are great. They have similar performance and durability. However, if you want to get the fullest out of your money, then RTIC 20 is the answer. It is cheaper, yet it is also built like a tank. It even has a slightly bigger capacity.